OK, I AM HERE. SO WHAT? Telling the story of Lucy’s trip inside both the American English and the United States. TERRIFIC. HOWEVER, WHY SHOULD I READ THIS BLOG? 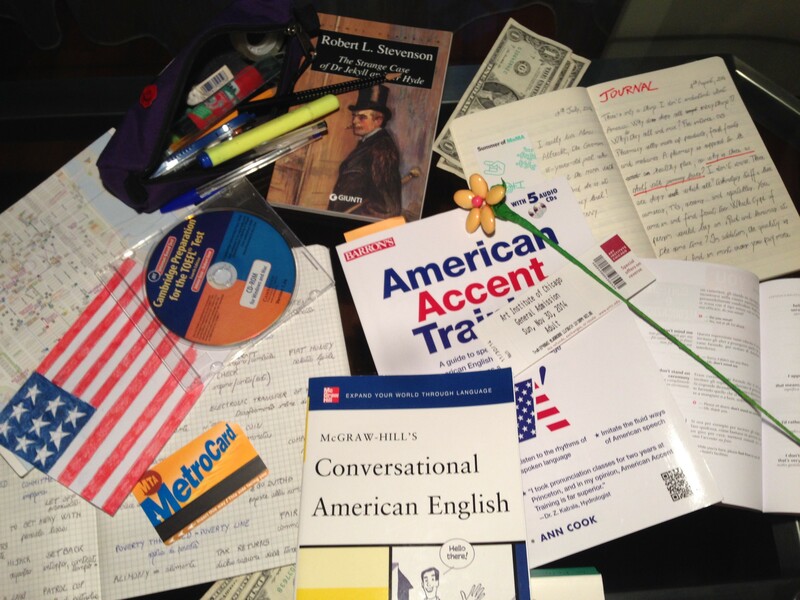 … an English as a foreign language student, consider Lucy’s English as a toolbox – of tips, words and experience. I am trying to master my English exactly like you. I will constantly report on this blog my improvements. As a consequence, a thing I learn is a thing you learn. … a proficiency or a mother tongue English speaker, your help will be priceless. Feel free to comment! … a TOEFL test taker (by the way – What is the TOEFL test? ), may the odds be ever in your favor. All kidding aside, I have been there several times and I will be glad to share my experience with you. More specifically, I will post my essays. As someone said, imitation, besides the sincerest form of flattery, is the first step in learning process. … a curious reader, well, I have a story for you. A young Italian journalist works hard in order to improve her English, hoping of, one day, writing her articles in this language. Will she make it? You don’t know. Neither do she. TOEFL Resources – Everything related to the TOEFL test: samples, online free resources, tips. Everyday American English – Tips to cope with general situations, from What did the waiter say? to How to order a so-called coffee at Starbuck’s. Word of the Day; a selection of words (or expressions) useful to know, with examples from movies, books, TV series. English Journal – My online journal. SOUNDS FUN. MAYBE I’LL COME ROUND SOMETIMES. Lucy’s English is constantly updated – at least twice a week. We’ll wait for you! Lucy’s English staff, of course. WHO ARE THEY? AND WHO IS “LUCY”? Lucy and Lucy’s English staff are in fact the same person. If you want to know more about Lucy, go to the “WHO” page. SO WHY DO YOU CALL YOURSELF “STAFF”? DO YOU SUFFER OF DISSOCIATIVE IDENTITY DISORDER? No, I don’t. Even if I strongly believe that learning a new language means – to some extent – becoming a different person, discovering my new English thoughts does not imply having a multiple personality. The truth is, I love the word “staff”. The more you use it, the more everything sounds professional. Enjoy your trip through Lucy’s English!